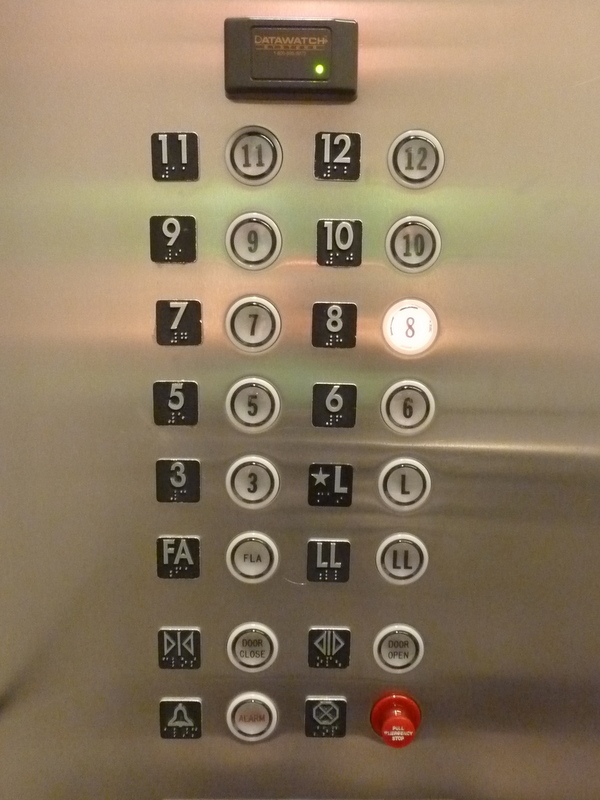 In this fall’s first class of Thom’s IA/UX course, he pointed out the ridiculousness of one of the buttons in the local elevator: To get to the ground level, you have to press “PA.” What does PA stand for? Parking? No, “Plaza,” of course. Can you guess which interface I prefer? Which supports the human better when she wants to hold the door for another human? In that moment when someone is running for the elevator, it is such a relief to have that giant pill-shaped “DOOR OPEN” button calling out to you in the south building elevators (second photo). 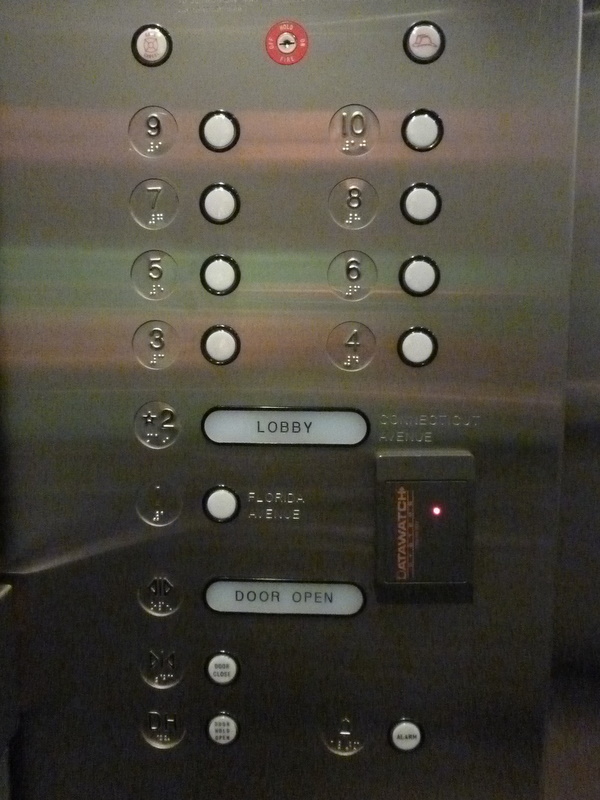 The north building’s elevator panel (first photo) also includes the handy “door open” translation for the universal “< | >” symbol. I have noticed, however, that I still attempt to decode door open and close symbols—which I find confusing, despite their universality—each time I try to hold the elevator. The silver-on-black labels are easier to read than the shiny white buttons, so I am drawn to decoding the confusing symbol rather than reading the handy text. And in that instant, I miss the opportunity to hold the elevator. So, despite using the north elevator bank roughly four times a day, I often fail to hold the doors. When I occasionally visit the south building, however, I never miss the chance to help out to my fellow human.